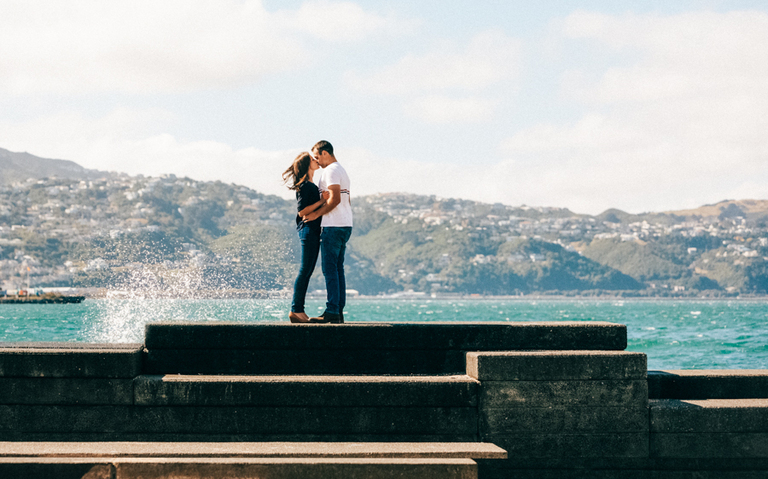 It was the last day of summer in this part of the world, and I had the pleasure of photographing this lovely couple. 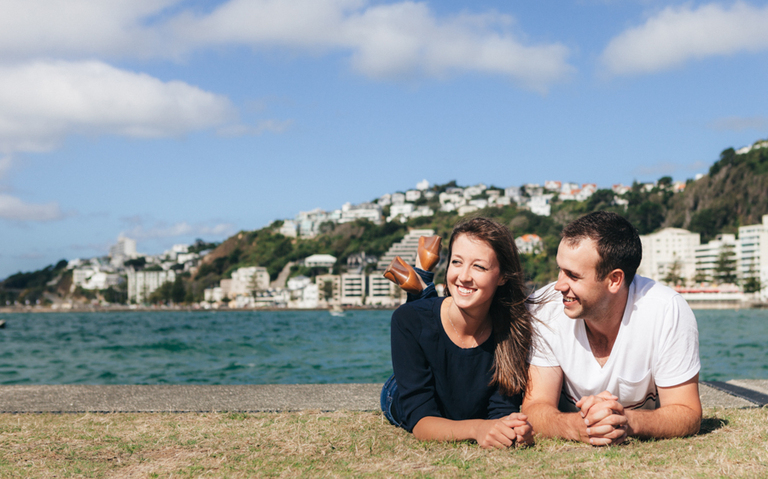 Fortunately, it turned out to be a beautiful sunny afternoon, although the Wellington wind did put in an appearance! 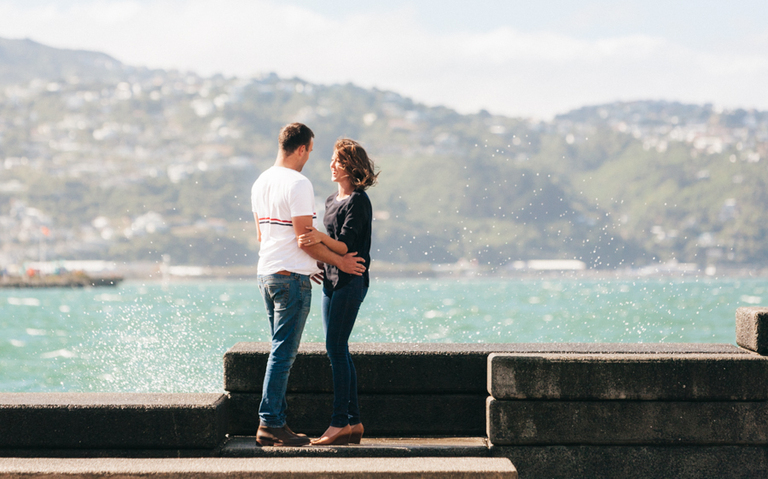 Amy and Mike will be getting married next year in the United States, but while living now in NZ, they thought of having a Wellington waterfront engagement session. 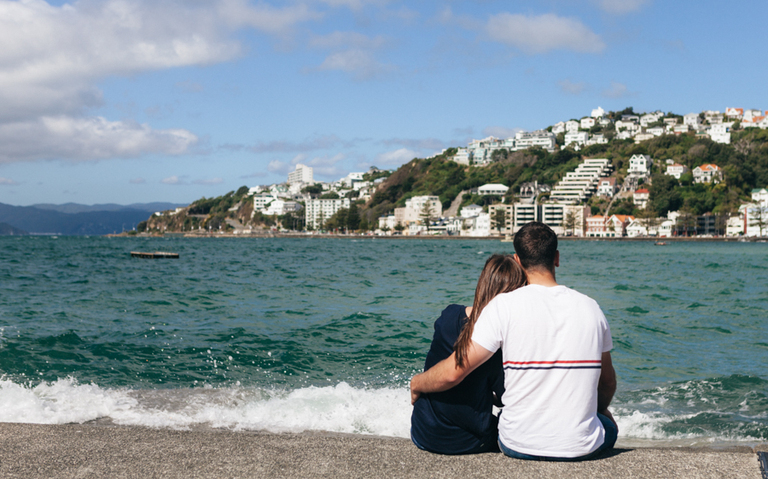 For a selection of images from other engagement photography sessions I’ve covered around town, you could take a look at my Wellington engagement shoot page.